This article appeared in the Sun Daily on 13 March 2012, written by Dato’ Dr. Goh Ban Lee, a former municipal councillor himself and a scholar in urban research and town management. Dr. Goh quoted my full council adjournment speech on the need to increase transparency. 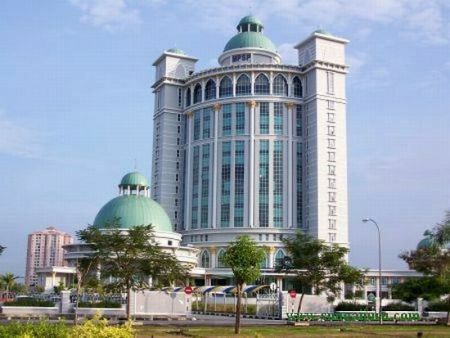 SEBERANG Perai Municipal Councillor Steven Sim Chee Keong suggested recently that the public be allowed as observers in standing committee meetings. According to him, “people have the right to know about the operations, expenditure and programmes” of their local councils. Although there have been similar calls by non-governmental organisations and individuals, it is good that a sitting councillor has publicly advocated for it. The Local Government Act has provisions for the public to be observers in full council meetings only. As local councils are responsible for a wide range of items, there is provision for them to form committees so that issues can be discussed thoroughly before they are brought up in full council meetings. The usual committees are for finance, licensing, works, public health, parks and gardens, assessment appeals, solid waste management and development planning. There is also the One Stop Centre (OSC) that decides on applications to undertake land development. According to the Local Government Act, committee meetings are held behind closed doors unless the councillors decide otherwise. During full council meetings, councillors can still disagree with the decisions of the committees and give different opinions. However, it is seldom that decisions made in committees are reversed as they usually have more than 12 members out of the 24 councillors. As decisions of committee meetings are seldom rehashed in full council meetings, ratepayers and reporters who attend full council meetings do not know the reasons for many decisions. There is no need to hold committee meetings behind closed doors. Local government matters have no implications on national security or foreign relations. They are largely quality of life matters, such as cleanliness, hawkers, parking of motor vehicles, extensions of buildings, change of building use and business licence. It is better to keep the ratepayers informed of what has been approved and what has been rejected and why. The more the ratepayers understand the rationale of council decisions and the constraints faced by the councils, the more likely they will cooperate. This will result in a reduction of the ubiquitous acts of non-compliance with municipal rules. If there are sensitive items to be debated, especially those related to religion, the councillors can make a decision to hold meetings behind closed doors. The need to open council meetings to the public should include the One Stop Centre (OSC) that approves applications to undertake land development projects. The meetings of this very important committee, with the mayor or president as chairman and members made up of four councillors and heads of technical departments in the council and the state government, are held behind closed doors. Although owners of properties within 20m from the proposed sites are informed about the projects and are allowed to object in hearings, they are not allowed to attend OSC meetings that approve or reject projects. Ratepayers outside the 20m zone are in the dark about development projects that are being proposed in their neighbourhoods. By the time the developers put up signboards about their projects, they have already obtained the permission to develop the land. As such, those who disagree with the projects can only hold demonstrations and appeal to their state assemblymen and members of parliament to take up their cause. As a result, developmental issues become political, one of the reasons why town planning and development controls fail. Since the last general election, there has been much attention on local government elections in Penang and Selangor as the DAP and PKR promised to bring back the third vote during the 2008 election campaigns. Both the state governments have spent some time on this topic. Despite the opinions of some legal minds that elections can be held under the law, the Election Commission has said that it has no jurisdiction to hold them. It is doubtful if these two states can do so without facing massive claims of fraud by those who lose. But the DAP and PKR also promised to be transparent and accountable. There is no need to depend on the approval of the federal government to implement these promises in the local councils, although it is advisable that this is raised in the National Council for Local Government. Selangor and Penang state governments can direct the local councils to open committee meetings to the public. This can be done by the councillors who are committee members.